Startup Delayer is a unique piece of software which is able to delay the launch of certain application on Windows boot which effectively lightens the load on your system, especially on computers which lack enough RAM or those with older processors. Over a period of time, Windows often gets lagged when booting because many different application you've installed are all trying to start at the same time when you're booting up. 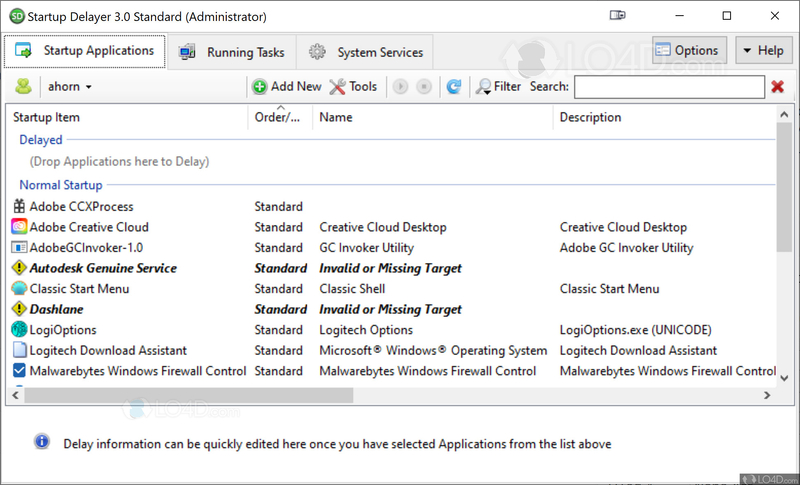 Startup Delayer removes the need to disable the automatic startup of these programs and instead puts them in a priority queue. After you've setup Startup Delayer, all you have to do is configure what programs are to start and when. This removes the issues of bottlenecks when booting up. Just set the time delay at when programs should start and you're off to go! 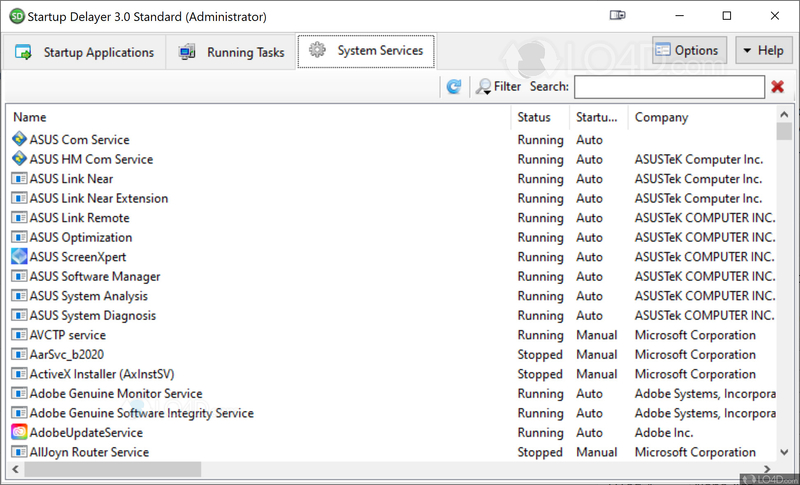 Overall, Startup Delayer can be a pretty handy application to have, especially when you're suffering from bottlenecks when booting and/or you have a lot of stuff installed which needs to start with Windows. 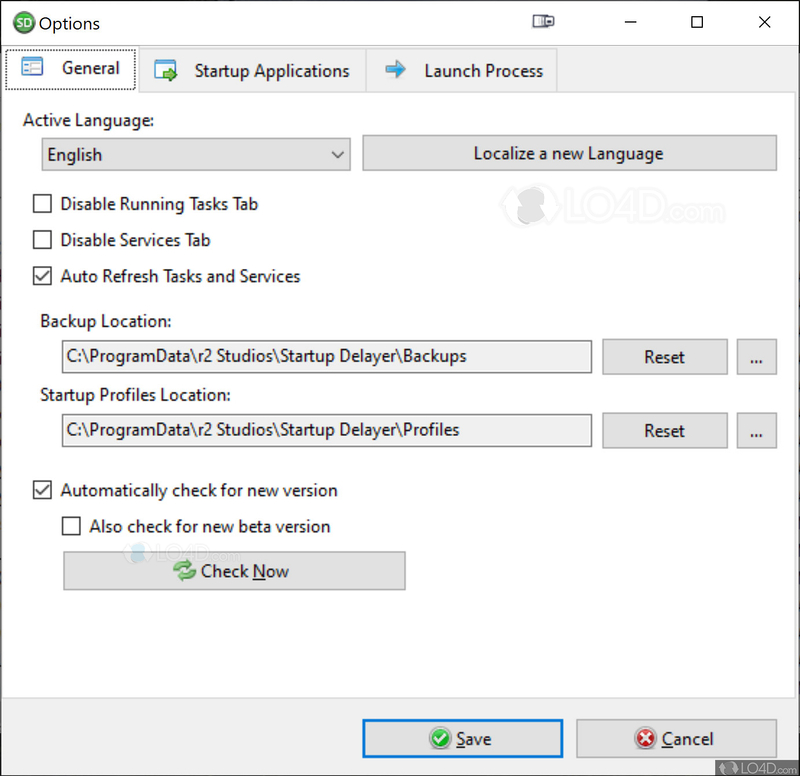 Startup Delayer is licensed as freeware for the Windows (32-bit and 64-bit) operating system / platform from windows boot software without restrictions. 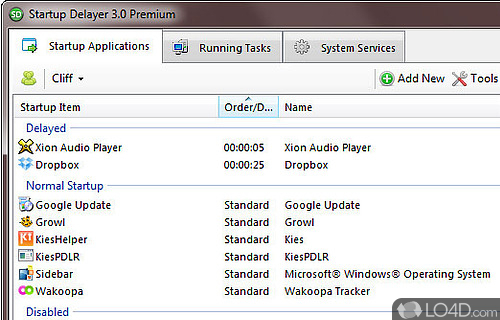 Startup Delayer 3.0.363 is available to all software users as a free download (Freeware). Compatibility with this startup management software may vary, but will generally run fine under Microsoft Windows 10, 8, 8.1, 7, Vista and XP on either a 32-bit or 64-bit setup. A separate x64 version may be available from r2 studios. This download is distributed as startup-delayer-v3.0b363.exe. 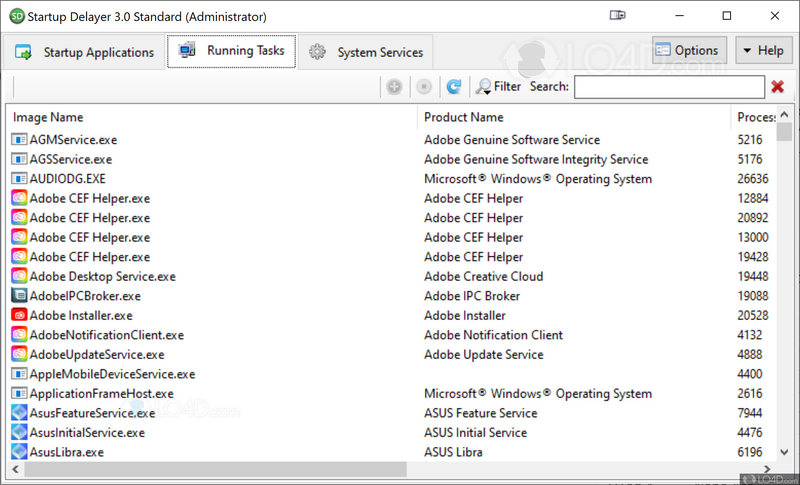 We have tested Startup Delayer 3.0.363 against malware with several different programs. We certify that this program is clean of viruses, malware and trojans.